The food industry must comply with all legal and regulatory requirements – national and international –related to the safe production of food. Although these requirements vary in different parts of the world (European Framework Regulations (EC) 1935/2004, and (EC) 10/2011 compared with US FDA Regulation CFR21, for example) they are fundamentally the same in terms of their basic intentions about protecting the consumer from harm. In addition to food safety regulations, companies in the food industry often operate in accordance with different sets of voluntary food safety standards. These include Global Food Safety Initiative (GFSI)-approved schemes that include BRC, FSSC 22000, IFS and SQF. At Vikan, we continually monitor what’s happening in the world with regard to food safety regulations and standards, and update our products and documentation to comply with the very latest requirements. This in turn provides our customers with the support they need to make sure that they are always in compliance with regard to their cleaning equipment and documentation. 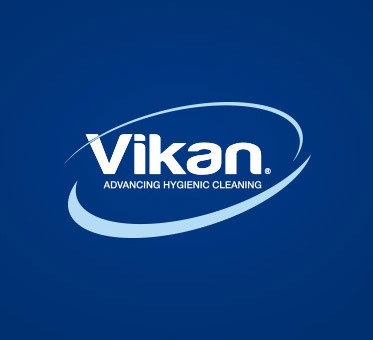 When you choose Vikan as your hygiene partner, we’ll provide the information and advice you need to feel confident about your next food safety inspection/audit and, of course, about the safety and quality of the products you deliver to the market. Visit the Knowledge Centre section of this website to access valuable information and download relevant documentation. Information about the regulatory requirements related to food safety and cleaning equipment is available, as is Vikan EU and FDA food contact compliance documentation, which can be downloaded for each Vikan product. A training package containing advice and information with regard to food safety regulations and standards compliance is available from the download centre. All Vikan products that come into contact with food and food-contact surfaces are documented to be fully compliant with food-grade regulations in EU and USA. Vikan Hygiene and Compliance Manager Stine Bislev explains what a “Declaration of Compliance” is – and how it must include the critical nine points.